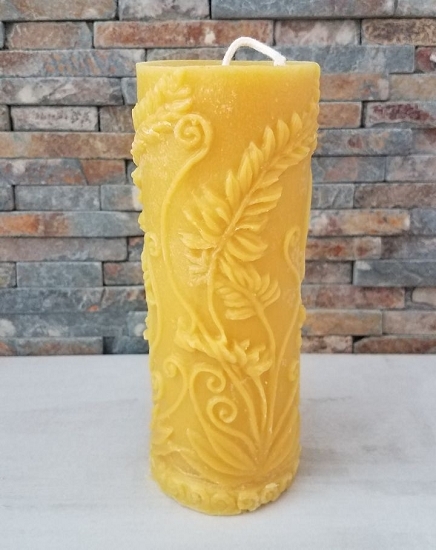 Beeswax Candle in a fern design. This candle measures 6.5" tall x 2-3/8" wide and used 1 lb. 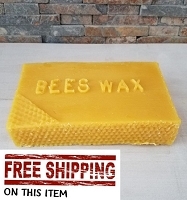 of beeswax to make. This candle is hand poured - no machines ever used! Beeswax candles burn clean and never any black plume given off. 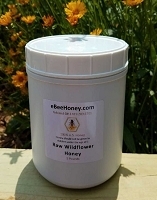 We use beeswax cappings from beehives to make our candles. The candles smell fabulous! 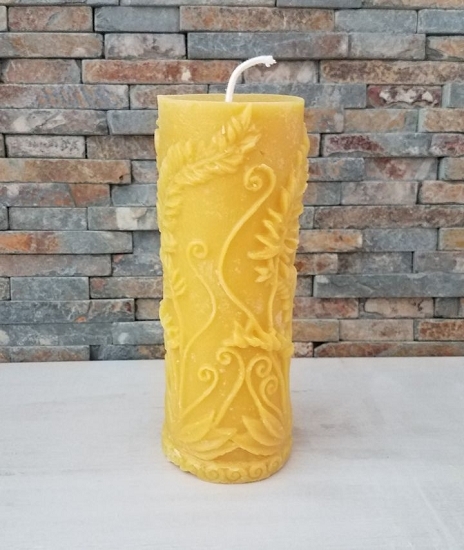 Beeswax Candle in a Rustic Fern design. 6.5" tall x 2-3/8" wide, 1 lb. 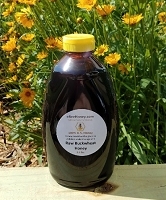 of beeswax. 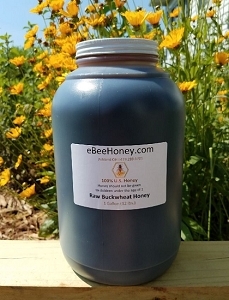 We hand pour beeswax into molds and make these candles by hand. No automated machines are used. 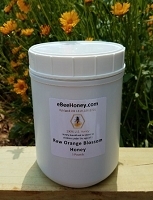 Beeswax burns clean and these candles smell like the natural scent of beeswax, no scent is added. 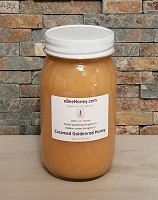 Creamed Goldenrod Honey - Pint - 24 oz. although I have ordered items before this is the first time I bought the rustic candle. 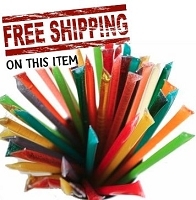 it is beautiful to look at. so pretty in fact that I hate to burn it. Good size candle and smells just as naturally sweet as the other candles I ordered.